^^I agree with Taz, "wow" was the word that came out of my lips when I saw this! Great "rusty" feel. That's powerful stuff. Very well done. Many thanks, I wanted to convey some angst and helplessness, apparently it worked! I like this shot and the 1:1 frame is really suiting it well. I don't attach the mentioned emotions to it, but it's still a very pleasing visual to look at - lot's of things to discover on it. Very nice, fellow. You once commented that one of my shots was " right down my alley ". We're even now as I feel that way about this. Great job. Looks like you and Photoshop are becoming friends . . . great stuff! Thanks! There's lots to learn! Fascinating. I think I'm fairly competent in Photoshop and I have no clue how you did this. It was a bit of beginner's luck, but not a complicated process. 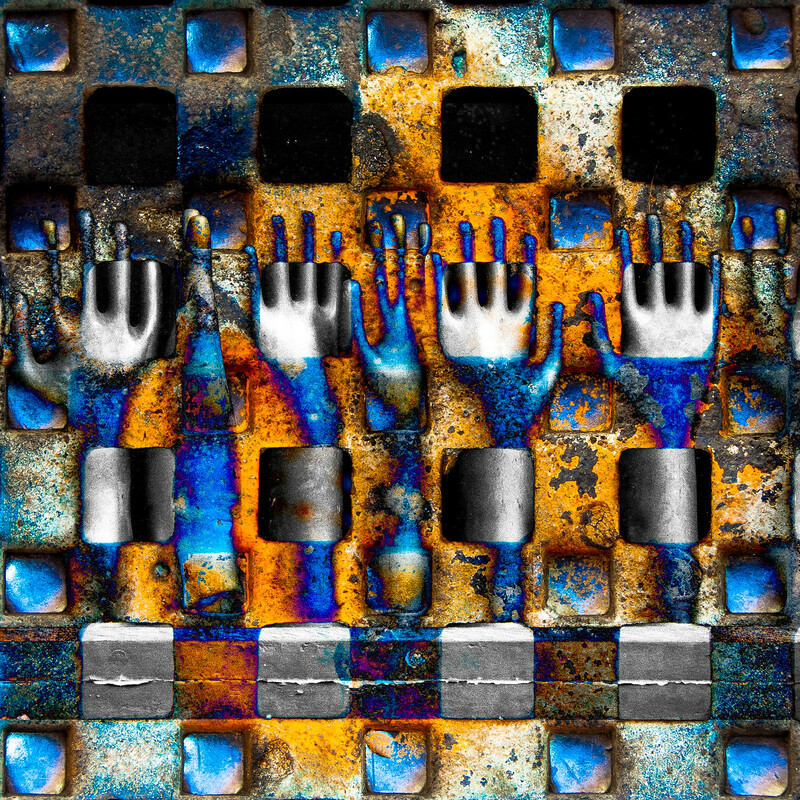 I had a pic of a manhole cover that I had "rustified" and a pic of the very cool hands that I had converted to BW, both old pictures. I imported the manhole cover as background and the hands as a smart object and played with blending modes, that's all.